Whenever I travel, I love to try local food. 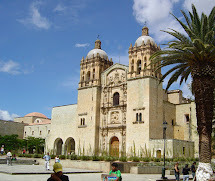 In Mexico, it is a special treat to buy fresh bread, tortillas, and pastries every day. 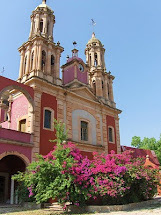 These businesses are so incredibly specialized in Mexico, that it is very common to find a specific store for each kind of baked good. 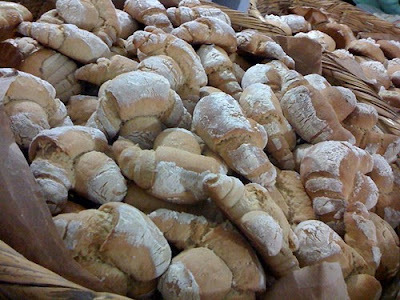 At the panadería, you can buy loaves of crusty bread that is perfect for paninis or a hearty soup. Freshly made tortillas are sold in stacks that are carefully wrapped in paper at tortillerías. 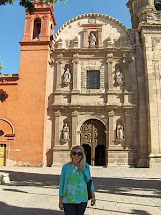 I usually eat one or two warm tortillas en route to my next market stop. But my favorite market ritual is the bakery. Colorful sweet bread in a kaleidoscope of colors, shapes, and sizes fills large woven baskets. As customers enter the bakery, they take a large round metal tray that looks like a pizza tray to place their selections. Pan Dulce is sweet bread that is a common breakfast treat. Conchas, meaning shells, are popular sweet breads. The soft, buttery roll gets its name from the sweet sugar shell design that is pressed on the top of the bread with a tool that looks like a cookie cutter. 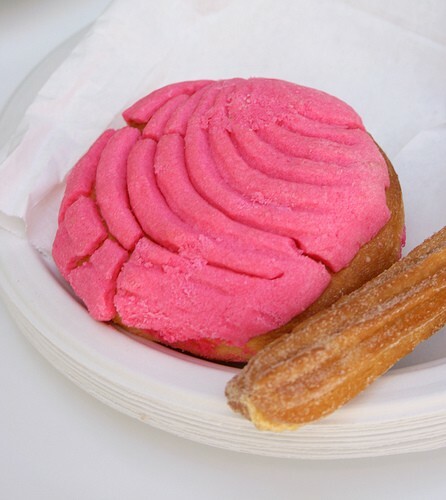 Although conchas come in tan, white, brown, and other colors, I prefer pink! When dipped in warm hot chocolate, they taste like heaven. 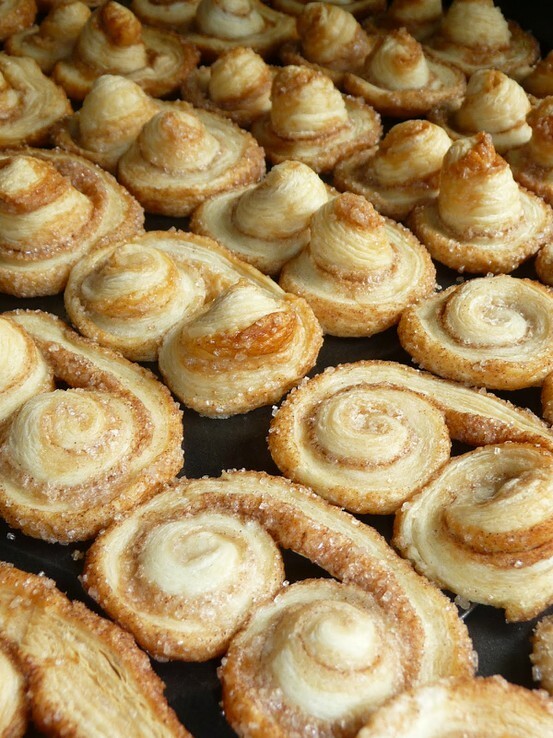 Orejitas, meaning little ears, are sinfully delicious treats made with puff pastry covered in sugar! They are similar to French palmiers. Yummy! Polvorones taste like a crumbly shortbread cookie but are actually considered a breakfast pastry. While purists enjoy this treat sprinkled with a little bit of sugar, the cookies topped with sprinkles or other colorful decorations make any bread basket look amazing at breakfast. I usually always pick up at least one of these. These bakery items are becoming more and more common in grocery stores in the U.S., but perhaps you are lucky enough to have a bakery close to you to buy sweet bread every day! 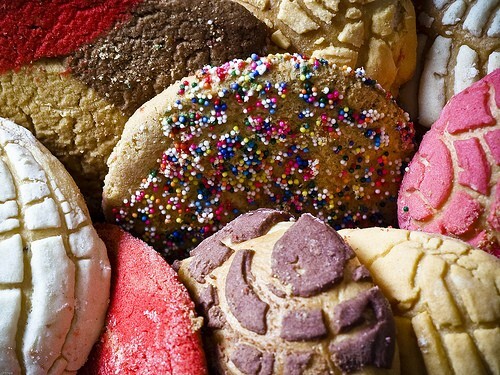 I don't know if I ever told you, but my grandma is from Mexico and I <3 CONCHAS!!!! I got a recipe to make them... need to do that this year!! Your post has me homesick now. I'm from a border town in TX. One of my favorites are the Marranitos (gingerbread pigs). Not sure if its just a south TX thing. looks delish! I love trying foods from different cultures. Yummy. Wish we had a real bakery in our city, classified as medium size in southwest Georgia. We're lucky to have Winn-Dixie super market and of course, Wal-Mart that I DO NOT frequent. But if we did have a bakery offering those fab looking treats I couldn't button my jeans! @Strawberries In Paris ~ That's so cool! I didn't know that about your grandmother, but I am also a huge fan of conchas. So good! @KAS I've never heard of marranitos, but they sound delicious!